The road to fruition for the Frank Gehry–designed Dwight D. Eisenhower Memorial has been full of twists and turns. And now, it seems, the Los Angeles architect’s plans may have reached a dead end. Last week, the National Capital Planning Commission (NCPC) voted seven to three to reject the preliminary site and building plans for the memorial. The vote followed five hours of testimony from the proposal’s supporters and detractors, including House Oversight and Government Reform Chairman Darrell Issa (R-CA). 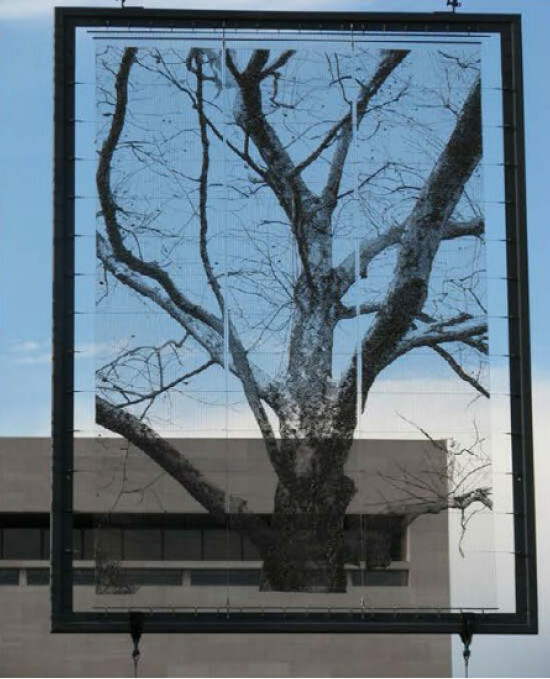 Issa spoke against one of the design’s most (but not only) controversial features: the massive stainless-steel “tapestries” meant to depict scenes from Eisenhower’s life. Gehry’s design, which centers around a colonnade supporting three 80-foot-high tapestries, has been the subject of fervent debate since its unveiling in early 2010. In late 2011, two of Eisenhower’s granddaughters expressed public dissatisfaction with the design. The following March, Congress held a hearing on the matter. Then, in March 2013, Rep. Rob Bishop (R-Utah) proposed a bill to shut down the design. In the meantime, the most vocal of the Gehry proposal’s opponents, the National Civic Arts Society, launched a competition for a more traditional design. 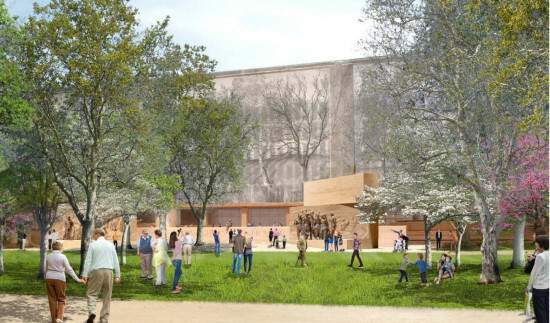 Last July, the U.S. Commission of Fine Arts approved an updated design, but in January, Congress, unimpressed with Gehry Partners’ revisions thus far, cut off funding to the Eisenhower Memorial Committee. The NCPC executive director’s recommendations [PDF], which the commission adopted on Friday, cited concerns with “the proposed scale and configuration of the tapestries” and how they jeopardize several of the design principles outlined during the 2006 site approval process. These include protecting views to and from the Capitol building, preserving building and tree lines along Maryland Avenue, and working within the L’Enfant Plan’s broader vision for Washington, D.C.’s civic core. The report asked Gehry Partners to modify the memorial design to address specific issues of pedestrian circulation, perimeter security, lighting, and public space. On a positive note, the NCPC report announced that the stainless steel alloy proposed for the tapestry panels passed a series of durability tests. No one has said for certain that Gehry’s design is a goner. The NCPC report “[n]otes the Commission’s continued support for a modern and innovative approach to commemorate President Dwight D. Eisenhower, including the possible use of stainless steel tapestries, although not as currently proposed.” If nothing else, the price associated with scrapping the Gehry proposal—an estimated $17 million—has kept the process going this long. But the question remains: how many more stops and starts can one project take?